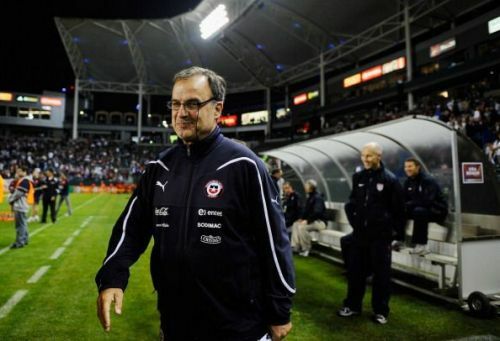 Following the sacking of Paul Heckingbottom in June 2018, Argentine Manager Marcelo Bielsa was appointed as Leeds United's head coach. 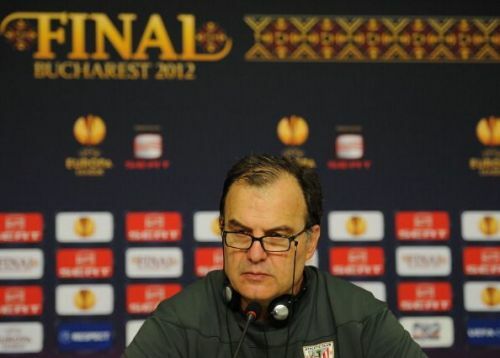 Marcelo Bielsa was born in Rosario in 1955 and is one of the most influential coaches in world football. No South American has had more of influence on today managers and how their teams are set up tactically. He is the main man behind the modern-day high press. 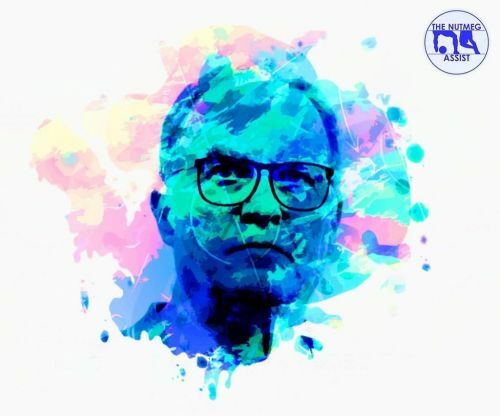 Here we provide an insight into Bielsa’s tactical philosophy, his career and why this world-renowned innovative coach nicknamed El Loco "the mad one" has inspired a generation of Head Coaches such as Pep Guardiola, Mauricio Pochettino and Diego Simeone. Like many other South Americans growing up in the '60s and '70s, Bielsa took inspiration from Rinus Michel's and his basic style is developed from the Total Football Philosophy. In his early days, his basic shape was a positional 4-3-3 based on wingers, although that was always flexible and would change according to the opposition capable of becoming a 3-4-3 when necessary. 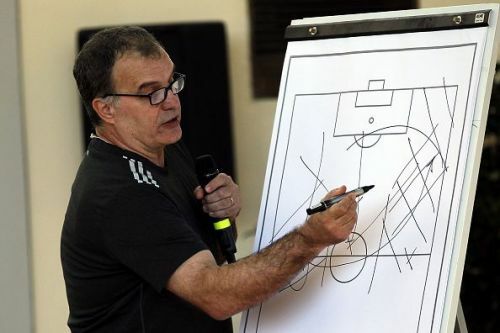 Marcelo Bielsa's football approach rests on four fundamentals, defence, attack, how you move from defence to attack and how you move from attack to defence. He considers his tactical philosophy to be movement, rotation, concentration and improvisation. His teams play attacking possession-based football but like it to be played at a high tempo. For Bielsa, defending is the first stage of attacking. He doesn’t set up his teams to sit back and invite pressure, he likes to play with all 10 outfield players as high up the pitch as possible which then enables them to win the ball back closer to the opposition's goal. While his team is out of possession he insists on the whole team pressing to cut off the play, there is no defensive block or attacking block under Marcelo Bielsa it is simple all players run as a team and all players press as a team. Once possession is regained the one main philosophy is movement, the players will then rotate which creates spaces for improvisation and creates opportunities for penetration. 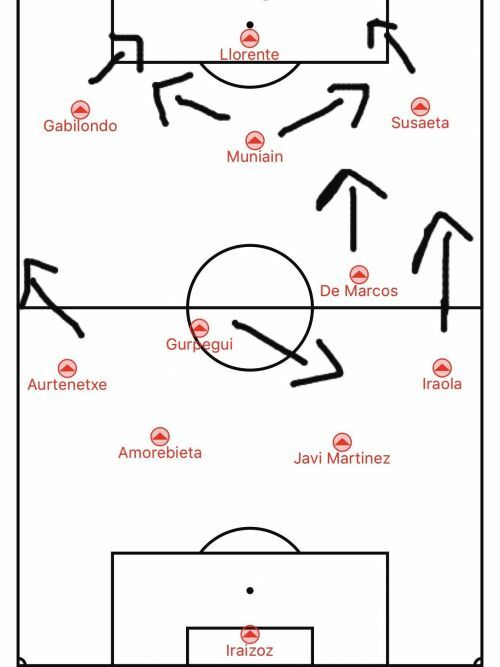 Here you can see the classic 3-3-1-3 Bielsa Formation which is how Chile set up during the 2010 World Cup. He prefers a three at the back-formation as this allows the team to have one more centre back than the opposition has forwards and will opt to change the system dependent on the opposition's formation. Having one spare defender allows more players to push forwards. Bielsa always allows his wing backs to push further up the field and beyond the holding midfielder. The Wingers who are placed ahead of the full backs will play as wide as possible, this creates overloads which then develops into a 2v1 situation in the wide areas. Bielsa is very much a student of the game and would watch endless hours of footage of the opposing teams and players along with his team's previous games. The training would involve intense training that mixed tactical sessions, ball work and video analysis. Bielsa demanded a lot, even from the youngest members of the squad. So much so that his training sessions on a specific day would be pre-planned passing moves that would be repeated over and over again. He would lead his side through up to 120 different attacking situations and 120 different defensive situations. The reason for the repetitiveness was for his insistence on developing players to be highly technical and tactically taught. An example of this can be seen when he has used midfielder such as Guy Medel and to an even greater effect Javi Martinez in the defensive line. This ensures that the team is passing with purpose when playing from the back. An attack-minded player in this role gives you consistency when passing forwards to break the lines. The Goalkeeper and the defenders are expected to keep possession amongst themselves before proceeding with the ball to the wide areas. You would often see full backs played in the right and left centre back positions as he thinks they are better at carrying the ball. The intention was every player was able to play in each role and improvise within the system. The players are all positioned accordingly and specifically depending on what side of the pitch they decide to attack. Both the wingers and the wing backs are asymmetrical to one another. This is no coincidence and allows movement and rotation during attacking play. As you can see Isla (right-wing back) is as wide as possible but ahead of him Sanchez is sitting narrow and playing close to Vargas which instantly creates spaces for other players to occupy, this is why Bielsa wants his players to know how to move and play in other positions. In contrast on the left side, you have Mena who has tucked in to play narrowly in his own half and left winger Beausejour has pushed out wide. This passage of play will be familiar to the tactical analysts within England and more notably Tottenham Hotspur. During the 2016/2017 season their manager Mauricio Pochettino who is very much a "Bielsa Disciple " and refers to Bielsa as his football father often applied to same principles during their attacking play. Danny Rose and Kyle Walker occupied the full-back positions. Both are attacking full backs but were under the coach's instructions to be very strategic when attacking. When one full back attacked the other would sit and when attacked the inside the other would opt to push as far out wide as possible. This play was all pre-planned and well-drilled on the training pitch. Bielsa will at times alters his system to suit the opposition and during his time at Athletic Bilbao, he opted to play a 4-2-3-1 formation with high full backs and two holding midfielder's behind an advanced playmaker with no defensive duties, the Enganche role. Whether it was the 4-2-3-1 or his preferred 3-3-1-3 formation. The position of the Enganche and the front three would never be changed. Two forwards would play with pace and width and high up the pitch. This allows the players to be correctly positioned to pass in triangles which then enables the movement Bielsa craves and in turn makes it very difficult for the players to be marked. Bielsa likes his full-backs to play high up the pitch. His teams generally built there attacking play down the wide areas in an out of possession and primarily through the full backs, if they were playing through the centre of the field it would be the movement of the wide players that enabled the team to play vertically. When the players in attack rotated positions or made a specific movement the other players within the team were expected to know what position they had to take up in order for the attack to work in the way it was supposed to. Bielsa is very structured in that regard. When in possession of the ball Bielsa likes his players to spread the field as wide as possible. When the wingers play narrow and act like inside forwards by playing closer to the main striker, the Wing Backs will make overlapping runs out wide, this drags the opposition full-backs away from there centre backs when the opposition is playing a defensive and compact game and enables space to be created for the players to then improvise. In 2014-15 season whilst at Marseille the responsibility and strategy of the wing backs differed to his time at Bilbao. When the wingers offer the width, Bielsa expected his wing backs to still attack but they were required to be able to work on the inside alongside the midfielder's, especially in the 3–3–1–3 mentioned above. It provided extra numbers and options through the centre of the pitch and allowed more freedom for the playmaker in front. This has become known as the inverted full back role. During Bielsa's time at Marseille Djadjedje and Mendy played the role of the inverted full back. Both players had the physical ability and a real dynamism when running with the ball. Their ability to play on the inside was improving game by game especially in the first half of the campaign. The wingers Thauvin and Ayew would pull out wide to offer width and instead of the full backs running towards them to offer the support they would position themselves centrally. This allows the team to keep control in the central areas and makes them less open for counter attacks. During his time Chile he would on occasion play Arturo Vidal a natural centre midfielder as a wing back for the same effect. Before deciding upon taking up a coaching career Pep Guardiola made a point of going to spend time with Marcelo Bielsa in Argentina, travelling 309 kilometres to seek the wisdom of the man who inspired him and influenced his own philosophy. The two men shared their obsessions in a meeting that lasted 11 hours there were searches on a computer, revising techniques and detailed analysis. It is no mere coincidence that Guardiola's has used many of Bielsa's ideas and methods. Bielsa taught Guardiola that talent depends on inspiration and the effort depends on the player, the attitude is non-negotiable, adding that his side cannot win if he cannot transmit what he feels. The role of the inverted wing back is an example of how why Pep Guardiola is very much from Marcelo Bielsa school of thought. At Bayern Munich, he coached Philip Lahm and David Alaba to play the role with outstanding results and is currently doing the same with Kyle Walker and Benjamin Mendy at Manchester City. Mendy having already been coached the role of course by Bielsa at Marseille. As a player, he shown effort, dedication and discipline however whilst being considered a decent a playing career at the highest level didn’t really develop. A defender who in today’s game would be considered a ball playing centre half, he was good on the ball but he lacked pace and left Newell’s when he was age 21. He then moved around the lower leagues in Argentina whilst studying physical education and agronomy before retiring in 1980 at the age of 25 due to a serious Injury. Over the course of the next 10 years, Bielsa managed Buenos Aires University football team before moving back to Newell’s Old Boys to work with their youth set-up and reserves. He was later appointed the manager of Newell’s Old Boys. The Argentine then had spells at Atlas, America, Vélez Sarsfield. His time managing in his homeland resulted in him winning the Primera Division title Argentina in 1991 Apertura, 1992 Clausura with Newell's Old Boys and Primera Division Argentina in 1998 Clausura with Velez. This is when his attacking brand of football, his philosophy, his unique tactical theories and his reputation within the game started to gather place. Espanyol in Spain was his first European adventure when he was appointed in July 1998. He only managed Espanyol for 9 games before Argentina approached him about taking over from Daniel Passarella. His stint as the national team manager would last for 6 years. Argentina qualified for the 2002 World Cup as winners of the CONMEBOL (South American section) losing an only game and scoring Forty-two goals in the process. They entered the tournament as favourites due to the combination of how emphatically they qualified and the depth of talent they had available. The problem was thought they had too many good players and the squad wasn’t very cohesive. They were eliminated in the first round after being drawn in the "Group of Death" alongside England Sweden and Nigeria. Argentina finished third on four points with both England and Sweden qualifying from the group on 5 points. However, this did not tell the whole story. Bielsa was true to his style and Argentina was the only team that attacked in a group in which a team only scored more than one goal in any single match on one occasion. They had more shots on goal and more corners than anyone in the 1st round of the competition. After the World Cup Bielsa’s Argentina picked up where they left off in the qualifying stages and where the better team throughout the tournament and very unluckily finished as runners-up in the 2004 Copa America. They were seconds away from becoming champions when a last-minute goal for a Brazil took the game to eventual penalties. Argentine losing 4-2. His stint as the Chile national coach was impressive as well, along with them qualifying for the 2010 World Cup which was the first since 1998 he started to make changes to the Chilean setup. Chile's style of play was always considered to be conservative. Bielsa changed this and brought in an attacking style of play. He maintained his faith in youth and fast-tracked the young talents from Chile under-20 squads that finished third in 2007 World Cup. Alexis Sanchez, Arturo Vidal, Carlos Carmona, Gary Medel and Mauricio Isla all went to South Africa and would become mainstays for years to come. It wasn’t just on the field was Bielsa began to make a difference, he started to implement several changes at the national team training centre. The complex was transformed into a modern training facility that included a cryotherapy chamber and other contemporary touches. Bielsa revolutionised Chilean football, provided it with an identity and a playing style that has transformed its mentality to this very day. Following Marcelo Bielsa’s appointment in 2007 Chile have become two-time Copa America champions, they have finished as runners-up in the Confederations Cup and qualified for three successive World Cups. Even though Bielsa was not around to achieve these accomplishments he was the one that built the house and the philosophy. A return to club football and a return to Spain then followed with Athletic Bilbao. His 20-month spell with the Basque club was very impressive as he built the most exciting Athletic Bilbao team for decades, in the 2011-2012 season Athletic Bilbao advanced to their first European final since 1977, losing 3–0 to Atlético Madrid in the UEFA Europa League Final. They also reached the 2012 Copa del Rey Final, losing again to Pep Guardiola’s Barcelona. Enroute the Europa League final, Bilbao faced a Manchester United team managed by Alex Ferguson. In the first Leg at Old Trafford where the Manchester club is particularly renowned for being dominant, the Spanish side won 3-2. As much as the result was not to be expected the manner in which it was achieved can only be represented by the Manchester United Fans standing to applaud the style in which Bielsa's team played. It was a display of speed, relentless attacking and tactical mastery. Bielsa has always been insistent that his playing style is about movement and the attacking movement from the players was so good you were unable to tell who was playing in which position. In the summer of 2012, the Basque sold Javi Martinez after Bayern Munich paid the buyout clause of €40 million in his contract. The contract issues of Fernando Llorente led to him being frozen out of the club. Following these issues, the team that everyone in Europe started to talk about started to unravel and the inconsistency of the teams results led to the club not renewing Bielsa's contract. Marcelo Bielsa took over Marseille for the 2014-2015 season. Due to his obsessive planning, detailed analysis and total adherence to his style and philosophy. Bielsa's team are predominantly known for being slow starters as the players are still in the process of taking all the details and everything the coach teachers on board. This was no different at Marseille. They only took one point from there first two games. After this slow start, the French club then went on a run of eight consecutive victories. The hard pressing philosophy was embraced by the players with full effect and fluidity. The Marseille players adapted that well that Bielsa was able to switch between his favoured 3-3-1-3 (although at Marseille it was 3-3-3-1) and 4-2-3-1 formations. By the time the season had reached the mid-point in December Marseille were top of the Ligue 1 everything was looking good for this young and talented squad. Lyon took over as front-runners in January but Marseille still remained in the title race until April when they lost four straight games. The performances in the second half of the season had become wildly unpredictable the players looked burnt a common theme throughout Bielsa's career. There form picked up eventually and they finished the season with four straight victories and finished 4th. Marcelo Bielsa resigned as coach of Marseille after the 1st game of the following season after disagreements with the club's board. Unremarkable and short-lived spells with Lazio and Lille then followed. His exit from both footballs was rather distasteful. He quit Lazio after two days stating that the board had allegedly broken promises. He was in charge of Lille for 13 games before the club eventually sacked him. Rumours of discontent amongst the players are the reason as upon joining the club Bielsa informed 11 experienced players they could leave as he wanted to bring a more youthful side. 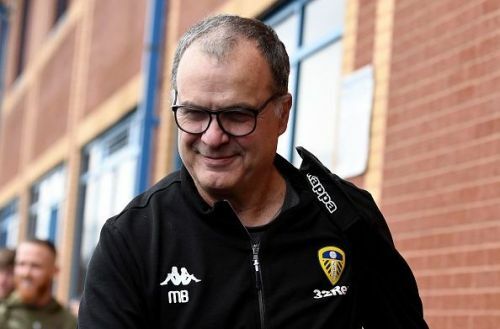 The Leeds United fans and board have already learnt that the coach they have at their club is the same Marcelo Bielsa that started his managerial career in 1990. Bielsa has not changed. At 63 years of age, his obsessiveness dedication and his eye for detail do not appear to be slowing down. He did his research over the summer. In the 24 hours between Leeds making contact and a first proper conversation, he had watched seven games from last season. He watched every ball they kicked before landing in Leeds, including pre-season games and the post-season tour of Myanmar. The formation has changed but the philosophy and the tactics remain the same. Bielsa has opted for a 4-1-4-1 formation with the same instructions high pressing, possession-based football with dynamic interchange of positions. The performances have been exceptional and the results to match having played four games in total, three league games and a Carabao Cup match and winning all four matches. Upon his appointment, in the summer Bielsa set about making his changes immediately. There were triple training sessions during the summer as he and his coaching staff ensured the players would be up to the required fitness level to sustain his style of play. This meant the squad sticking around at the training ground from 9 am to 7 pm. He made changes to certain areas at the training facilities to give the players more room as they slept between sessions. Kalvin Phillips has been given a more defensive minded role and has done well sitting in front of the defence. Phillips has already shown signs of dropping in between the centre backs to recycle possession which then allows both centre backs to push wider and allows the wing backs to push forwards and creating the more chance for verticality within the play, a Bielsa trait. The gifted Samu Saiz has been given freedom to operate further forward. This has seen him pick up his form dramatically compared to the second half of last season. The same questions still remain unanswered. Bielsa teams are notoriously known for having questionable dips in form in the second half of a season and with the Championship being known for its demanding schedule will Bielsa's demand for intensity and constant demand for more have the same effect. It's fair to say that the ownership and the management of Leeds United as a club have not been good enough over the last 15 years, and it remains to be seen whether Andrea Radrizzani is the man to change this. If he isn't and the ownership of the club becomes an issue and it doesn't allow Marcelo Bielsa to do the job he was offered, then this will not be a happy ending. History proves its Bielsa's way or the high way. History may not judge Marcelo Bielsa as a great coach in terms of trophies won but his profound effect on tactical trends and coaching philosophies is what makes him a mastermind. Whatever happens during his time in England the players at Leeds United will be better off having played under him as will the opposing managers having managed against him.